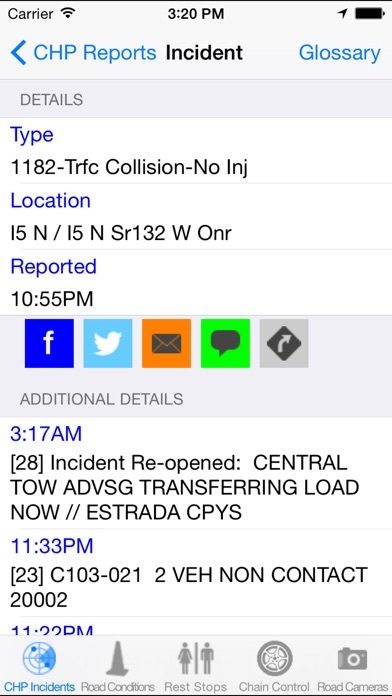 With California Road Report you can view CHP incidents, CalTrans road conditions, chain control, and find rest stops in California on your iPhone, iPod Touch, iPad, and Apple Watch on the go! 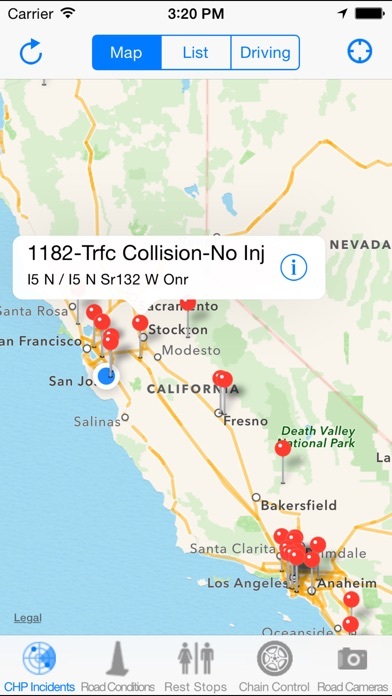 **View CHP Incidents in areas nearby or from a list of selected areas in either list mode or map mode** Each CHP incident reported contains the time of occurrence, location, and details of the incident. **Hands-Free Mode - With hands-free mode, CHP incidents can now be spoken to you while you drive so you can keep your eyes on the road and still receive CHP reports. (note: Continued use of GPS running in the background can dramatically decrease battery life.)  **Search for CalTrans road conditions on any given highway in California** Ideal for checking chain requirements prior to driving in snowy conditions, knowing if there will be road work, or finding out if a particular stretch of the highway has been closed. 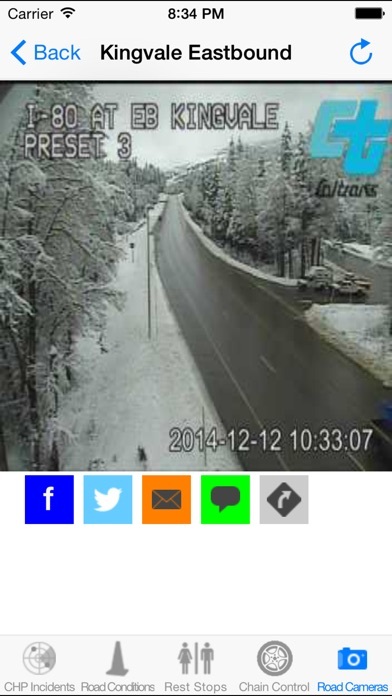 **Find out where chain control is being enforced during snow storms** While in map view you can pan around the state of California to see where chain control is being enforced or scroll through a list of all chain control areas in California. 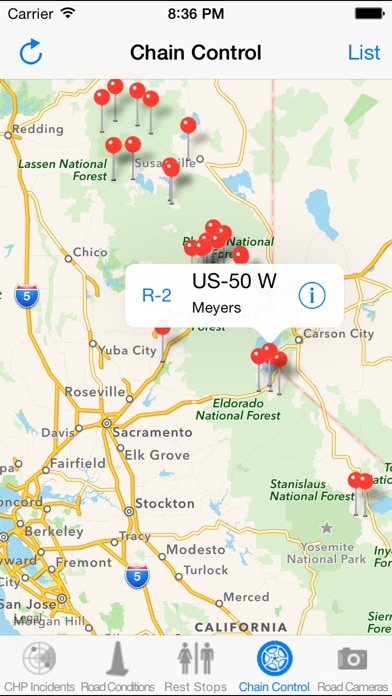 **Find nearby rest stops** Need to take a break while on a long drive down the 5? Check out nearby rest stops and see their available amenities. 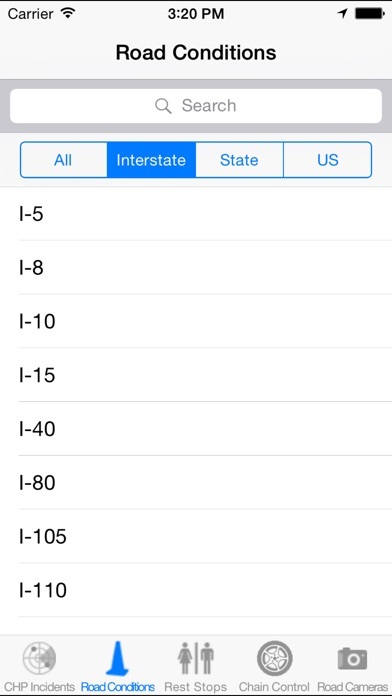 **See highway cameras** See pictures from over 500 highway cameras in the state of California and also share them on Facebook, Twitter, eMail, and SMS.